Proposed eight-story hotel would replace collapsed building on throughblock lot fronting Chambers and Reade Streets. On February 8, 2011, Landmarks considered Fishman Holdings’ proposal to build a new eight-story hotel on a now-vacant lot at 87 Chambers Street in Manhattan’s Tribeca South Historic District. The through-block lot has frontages on Chambers and Reade Streets and is located between Church Street and Broadway. In 2008, Landmarks approved Fishman Holdings’ plan to convert the lot’s dilapidated store-and-loft building into a hotel. In 2009, however, the building partially collapsed and Buildings ordered that the entire structure be demolished. The current proposal closely adheres to the massing of the previously approved project. According to David West, of Goldstein Hill & West Architects, the new building would rise six stories and then set back fifteen feet before rising two additional stories. The set-back floors and rooftop mechanical equipment would only be visible from limited vantage points. The building’s ground floor frontages would feature metal and glass storefronts, and cast-iron columns salvaged from the collapsed building would be incorporated into the Reade Street frontage. The upper floors would be divided into four bays and clad in limestone with granite accents. The Chambers Street and Reade Street facades would feature different fenestration. The hotel’s entrance lobby would be located along the Reade Street frontage, with retail or restaurant use on the ground floor along Chambers Street. The overall building height would be one foot taller than the previously approved proposal. The Historic Districts Council’s Nadezhda Williams found the proposal “contextual in style, materials and massing,” but suggested that the penthouse and rooftop mechanical equipment be reduced. Manhattan Community Board 1 submitted a letter recommending that the massing be reduced to comply with the plan approved in 2008. The Commissioners generally approved of the project’s massing, but objected to the facade and window details. Commissioner Fred Bland suggested that the architect restudy the proportions and vertical arrangement of the windows on both facades. Vice Chair Pablo Vengoechea said the building needed “more richness in terms of texture and articulation,” pointing out that the proposed eight-inch cornice was insufficient and that the Reade Street fenestration needed more variety. Commissioner Joan Gerner said the building needed “more articulation and depth,” rather than having it look as if details had simply been applied to the facade. 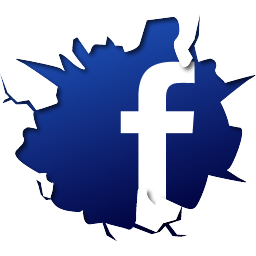 Fishman Holdings will return with a revised design. 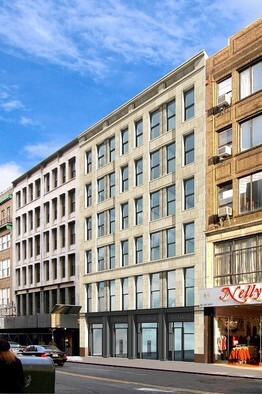 LPC: 87 Chambers St., Manhattan (11- 5830) (Feb. 15, 2011) (Architect: Goldstein Hill & West Architects LLP).